On Tuesday I signed up for the South Manchester Triathlon. I’ve spent the rest of the week chewing over it. I’ve not got long to prepare. I’ve thought about how my brain works on many occasions and I think I’m an ‘all or nothing’ thinker; either I’m hectic in my planning – I have a goal and I’m racing to get there – or I don’t and I’m cruising towards, well, nothing really. A second triathlon has been at the back of my mind since May when I happily completed my first one. I thought at the time: ‘September’s ages off; I think I’ll give it another whirl’, but the end of term came and six amazing and busy weeks with the children, and working, have zoomed by. Now it’s three weeks away. We’ve been on holiday in Wales this past week. It was idyllic, with no phone signal, internet, or TV, so I signed up for the triathlon on my phone in a cafe; a ‘quick let’s book it now!’ kind of thing. By the way we stayed here if you are interested – I highly recommend it; it’s so peaceful. 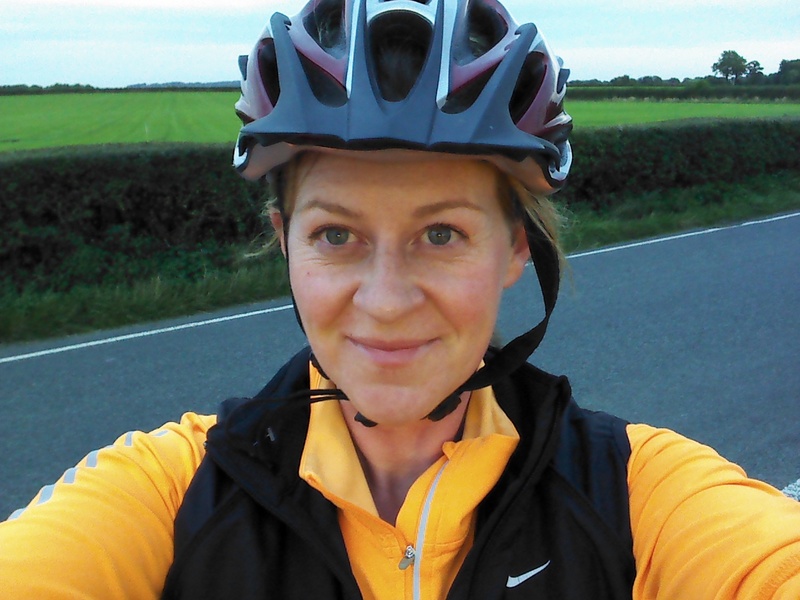 I’ve been getting out on my bike once a week, sometimes twice, for about an hour each time. I haven’t run much, and there’s been little, if any swimming. But I am still weight training every other week and walking lots. With food things have been hit and miss; good days bad days (with a little more emphasis on the latter). 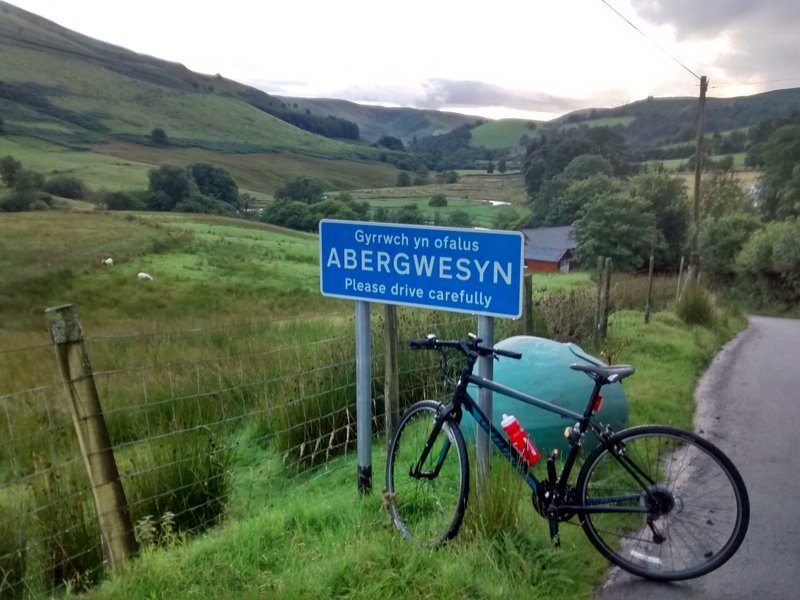 Wales has given me the chance to run, cycle and swim, so it’s been a good start. The valley where we stayed, amazing cycling. 1) I will eat ‘clean’ – protein, little carbs, no bread, with emphasis on fresh rather than processed. 2) Vitamins and fish oils every day – most days I remember – some I don’t! 3) Water – 1.5 to 2 litres every day – a struggle! 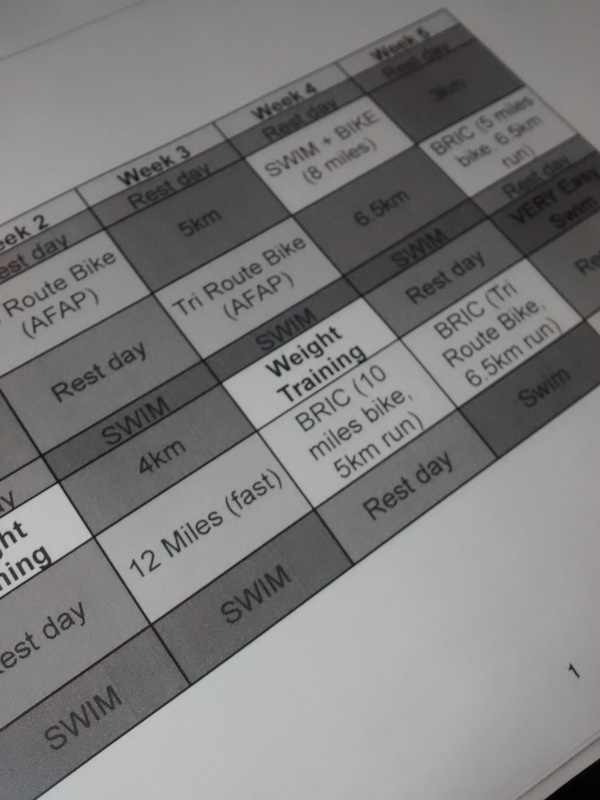 4) Sticking to the training plan; thanks Steve! 5) I’m going to try to blog as much as possible – even if it’s just a line about how that day’s gone. It will keep me focussed. Do I look happy about doing this all over again?? ?